Andrew Michael Holness is a Jamaican politician who was Prime Minister of Jamaica from October 2011 to January 2012. He previously served as the Minister of Education from 2007 to 2012. Shortly after taking office, he led his party, the Jamaica Labour Party, to defeat in the December 2011 general election. He has served as Leader of the Opposition since 2012. Holness was the youngest person to become Prime Minister in Jamaica's history, as well as the country's ninth Prime Minister overall. He is also the second shortest serving Prime Minister in Jamaica (Sir Donald Sangster being the shortest) as well as the Caribbean. Andrew Michael Holness was born to working class parents on 22 July 1972 in Spanish Town. If his father who is a farmer and an espoused socialist from that era had his way, Andrew would have been named Michael in honour of former Prime Minister the Most Hon. Michael Manley's rise and victory at the polls that same year. Indeed several analysts have compared him in style to Michael Manley. However, Andrew's mother, who is a civil servant, insisted that her son would be his own independent person and instilled an early sense of discipline, caution, frugality and humility, which have pervaded the form of leadership and public persona for which he is now known. 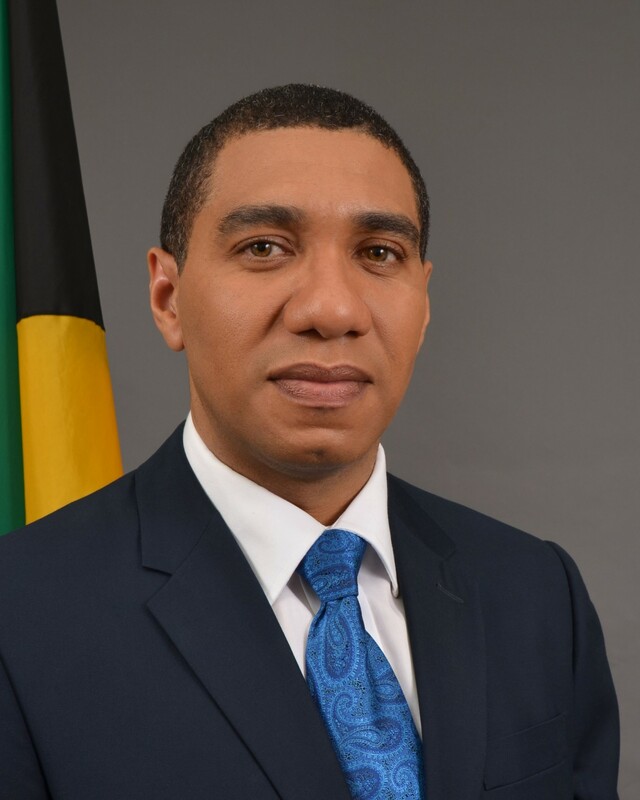 Andrew Holness is a graduate of the St. Catherine High School and a graduate of the University of the West Indies where he pursued a Master of Science in Development Studies and a Bachelor of Science in Management Studies. Prior to entering representational politics, Mr. Holness worked as the executive director of one of Jamaica's oldest NGOs, the Voluntary Organization for Uplifting Children (VOUCH) and in that capacity, led extensive social work in several inner city communities of Kingston. In 1995 he was invited by the then Leader of the Opposition, the Most Hon. Edward Seaga, to assume duties as personal assistant in his office and was assigned the responsibility of developing poverty reduction and social investment policies for the Jamaica Labour Party (JLP). Soon thereafter representational politics beckoned. The knowledge, exposure and experience gained from working in the social sector, combined with his youth and natural political savvy, placed Mr. Holness in a position to take advantage of an opening in the St. Andrew constituency he now represents, only three months before the December 1997 General Elections. Mr. Holness' election was a landmark case in Jamaican electoral law. It was a watershed in the dismantling of garrison politics and a positive step in establishing free, fair and free from fear elections in Jamaica. This was due mainly to the determination and political goodwill developed by Mr. Holness, in addition to the enforcement of new electoral laws that allowed that goodwill to be freely and fairly expressed. Since his formal entry onto Jamaica's political landscape, Mr. Holness has carried the hopes and dreams of many Jamaicans that a new, inclusive, prospective politics will emerge in Jamaican society. He has worked at all levels of the political system, and has patiently garnered significant knowledge and political capital. His strength is that he chose from early in his life to work from within the political system. He therefore has demonstrated a deep and genuine understanding of the hopes and challenges of the Jamaican people and has developed a strong and direct link with the Jamaican masses. He is seen as a man of the people, empa­thetic and devoted to the people’s interest. During his years in the Opposition he shadowed several portfolios in the areas of social welfare, community development and housing. In 2005 Holness was asked by the new leader of the JLP, Bruce Golding, to take on the topical issue of education. It is in this area that Holness found his passion and distinguished himself both as the Opposition Spokesperson on Education and in the Cabinet as Minister of Education. Consistently he has topped national polls as the best performing and the most popular minister of government. Mr. Holness preserved and advanced a bi-partisan approach to the Education Transformation and Modernization process. He brought national attention and focus to Literacy and has instituted several programmes to place Jamaica on the path to universal literacy at the primary level. Under his watch Jamaica has seen the introduction of the Career Advancement Programme (CAP), designed as a post secondary technical and vocational training programme for otherwise unattached youth. However, some of Mr. Holness' more fundamental reforms to the education system lie in the establishment of institutions such as the Jamaica Teaching Council, the National Education Trust, the National College for Education Leadership, the Centres of Excellence Programme and the Alternative Secondary Transition Education Programme (ASTEP) designed to support stu­dents falling behind in general education. Mr. Holness has demonstrated a missionary like capacity to take on national issues even those that may appear controversial. His positions on issues such as parenting and the death penalty have not always mir­rored the national view. However, his endearing articulate manner and his non-confrontational style of inter­face and communication have won him the respect of even those who oppose him. As a result he has been able to maintain independent positions, transcend the political divide, and be a leading voice in important national and social issues even outside of his portfolio. It would be difficult to classify Mr. Holness in western political characterizations, however, from his utterances, voting record and conduct of Government affairs, he could be described as left of centre on some social issues but fiscally conservative on economic matters. He succeeded Bruce Golding as both leader of the Jamaica Labour Party and Prime Minister on 23 October 2011, making him the ninth person to hold this office. As Prime Minister, he chose to retain the education portfolio. At 39, Holness was Jamaica's youngest Prime Minister to date and the first born after Independence, and unconnected to the divisive and turbulent period of the 70s. On 5 December 2011, Holness called the next election for 29 December 2011. The JLP campaigned in their strongholds and Holness highlighted the four years of JLP government with accomplishments, such as economic growth and crime reduction that the JLP says that the PNP failed to do in their eighteen years of rule. But on 29 December 2011, the JLP lost at the polls to the People's National Party, which gained a large majority of 42 to the JLP's 21 parliamentary seats. On 25 February 2016, Holness led the JLP to victory in the general election winning 32 seats compared to 31 seats for the incumbent People's National Party. Holness was sworn in as Prime Minister on 3 March 2016. In so doing he created history as the youngest person to be sworn in twice as Prime Minister. His wife Juliet also won a seat in parliament, the first time a Prime Minister or Opposition Leader and his/her spouse will be sitting in the Parliament of Jamaica together. Holness is married to Juliet, a chartered accountant, businesswoman, and parliamentarian. They have two boys, Adam and Matthew. He enjoys a game of chess, jogging, cycling and a round of table tennis when he can find players. He served as Executive Director in the Voluntary Organization for Uplifting Children from 1994 to 1996 and then joined the Premium Group of Companies, acting as a special assistant to Edward Seaga. He is a member of the Seventh-day Adventist Church.